What Are The Uses Of Zuclopenthixol? 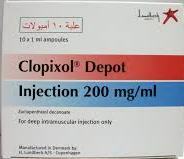 Zuclopenthixol is an antipsychotic or a neuroleptic. It is usually used to correct chemical imbalances in the brain. Zuclopenthixol is a sedative and it works by blocking the dopamine, a chemical produced by the brain which affects mood and thoughts. What Are The Side Effects Of Zuclopenthixol? If you develop any of these symptoms, inform your doctor. What Are The Contraindications Of Zuclopenthixol? Suffer from a heart condition or blood vessel disease. Have problems of the kidney, liver or prostate. Have any of the following – depression, Parkinson’s disease, epilepsy, glaucoma (eye disease), myasthenia gravis (a condition which causes muscular weakness). Have any blood disorder or have had jaundice in the past. Have phaeochromocytoma (tumour of the adrenal gland). Suffer from porphyria (inherited blood disorder). Any allergic reactions to medicines. 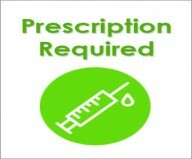 Taking any other medicines such as OTC medication or herbal medicines.